Ram Krishna is located on the Mumbai-Pune Highway with easy access to the expressway bridge. Ram Krisha is a renowned and counted among the most sought after hotels in Lonavala. The hotel is conveniently located on the Mumbai-Pune Highway providing easy access to many famous tourist destinations of the hill station. The Ram Krishna hotel offers the best accommodation choice as it offers many excellent services to all types of travelers. 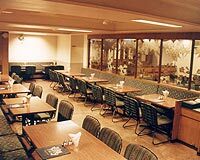 Ram Krishna Hotel offers 45 well-appointed rooms well equipped with telephone, 24-hours of room service and hot running water & cable television.